For someone who wasn’t interested in the fashion world, this year things have changed for Girl With The Dragon Tattoo actress, Rooney Mara. First she was a co-chair of the Met Gala, alongside Riccardo Tisci (who designed her dress for the event), Anna Wintour, and Lauren Santo Domingo. Now, she has her first high-profile campaign under her belt. The print ads were shot by Jean-Baptiste Mondino and TV spots directed by David Fincher who, who also directed Mara in The Social Network and The Girl With the Dragon Tattoo. Rooney is the perfect poster child for this scent and I can’t wait to go downtown to my local Sephora this summer and pick it up for myself. 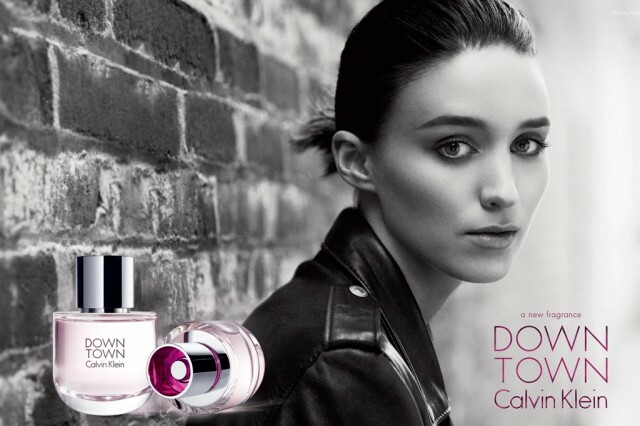 Tags: Calvin Klein, David Fincher, Downtown, fragrance, Jean-Baptiste Mondino, rooney mara, WWD. Bookmark the permalink.